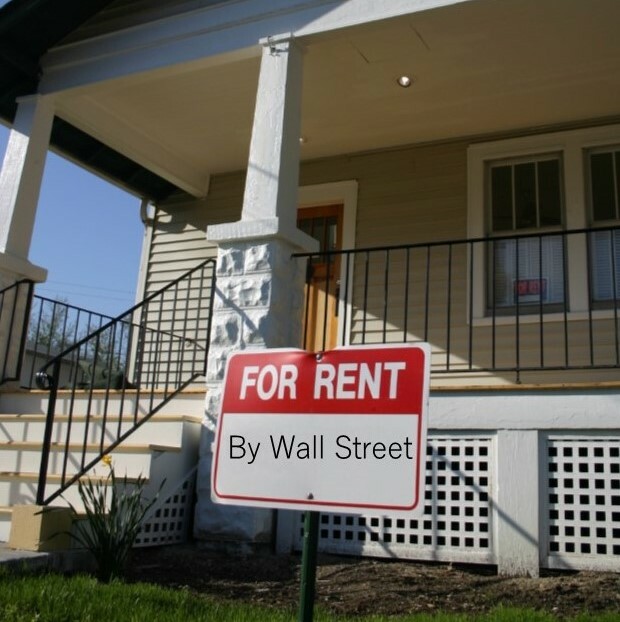 Over the last few years, communities have witnessed the latest iteration of Wall Street predation—the purchase in bulk of distressed single-family mortgages and foreclosed homes (REOs) with the intent to rent them—so called REO to Rental. Investors are muscling out first-time home buyers, displacing tenants, outbidding nonprofit affordable housing developers, and changing the demographics of communities. This new scheme is being funded in the same way that caused the foreclosure crisis—by securitizing housing payments (this time, rent payments) and passing on the risk to communities. A recent survey by the California Reinvestment Coalition of 80 community based organizations identifies some of the most concerning trends, provides context for who is funding this recent boom, and makes recommendations to protect communities from additional harm. Low- and moderate-income communities and communities of color have been traditionally ill-served by the financial services industry. First neighborhoods of color were “redlined”—deprived of conventional loans for which they qualified—by the very banks that held their deposits. Second, communities suffered from “reverse redlining,” as Wall Street cash flooded into neighborhoods via dangerous mortgages that quickly became unaffordable. Third, as the economy imploded, programs were created to help homeowners. Yet nonprofit housing counselors reported that relief was not reaching the hardest hit communities, and the Government Accountability Office found concerning differences in the rates of denials and cancellations of trial modifications for homeowners protected by fair lending laws. Now institutional and cash investors are muscling out first-time homebuyers—often due to the mere fact that they’re offering all cash. In our survey, 77 percent of respondents said that qualified homebuyers were “always” or “often” losing out to cash investors. If a bank fails to properly maintain an REO, it cannot pass a lender-mandated inspection, and first-time homebuyers and home loan borrowers may not even be able to bid on it. Once investors buy the homes, they are renting them out, often at higher than market rates. A review of one Pre Sales report covering a securitization revealed that rents charged in Riverside were 104 percent of market rents, and in Los Angeles were 106 percent of market rents. These investors are also gaining a reputation as poor landlords, charging extra fees for services once included in the rent and forcing residents to do their own maintenance. Take a look at these 103 Yelp reviews written by Waypoint Homes renters in Oakland, Calif., and a recent Tenants Together survey of California tenants with Wall Street landlords. The rents from these properties are being packaged into securities, but is this fueling another housing crisis? These are short-term securitizations of five years or less, so what happens at the end of five years? Or, what if this scheme isn’t as profitable as Wall Street thought it would be? Investors could unload huge portfolios of these homes, wreaking havoc not only on their renters, but also on local housing markets. As perhaps an ominous sign of things to come, Bloomberg reported recently that Blackstone was selling 1,300 REO-to-rental properties in Atlanta. In light of the problems identified by community based organizations, CRC offers several suggestions to protect low- and moderate-income communities from the damage created by REO to Rental. First, given the many problems created by REO to Rental, bank regulators should issue Community Reinvestment Act (CRA) rating downgrades to any banks (like Wells Fargo, JP Morgan Chase, and CitiGroup) that are funding these companies or facilitating REO to Rental securitizations. These activities and transactions run counter to banks’ obligations under the CRA to meet community credit needs. Second, given the ongoing mortgage servicing problems cited by regulators last month, CRC recommends a renewed focus on keeping homeowners in their homes, through finally allowing principal reduction loan modifications at Fannie Mae and Freddie Mac, and stronger enforcement of CFPB servicing rules. Third, CRC recommends regulators and elected officials catch up to this emerging industry and protect consumers. This could include steps such as taxing REO to Rental REITs, extending tenant protections to single family homes, implementing policies to prefer mission-driven CDFIs in the bulk sale of homes and mortgages, and ensuring ordinary homebuyers are able to compete on a fair playing field when buying a home. These recommendations will help stabilize communities, allow first-time homebuyers to build assets, and help tenants find well-maintained and more affordable housing with responsible landlords. The alternative is for regulators to sit back and watch the damage unfold—a movie we’ve already seen before. Divya Rao is a former legal fellow at the California Reinvestment Coalition and the author of a forthcoming report on Responsible Banking Ordinances in California. She is a graduate of Cornell Law School. Good article. I would add — new home buyers are often prevented from getting mortgages not just because of unfair credit scoring systems, but also because banks will not make low value loans. This is yet another form of Red-lining in low value communities. Once again, this leaves well funded investors as the only buyers. We have had this phenomenon in certain areas of Florida for some time. They were paying more than appraised value, no contingencies, 20 day close. The firs time home buyer or nonprofit cannot play in that field. The good news is that they have run up prices to the point that they are now priced out of their own market. My concern is what happens when these mega companies begin to divest themselves of properties. Are we right beck where we were?